A career that started in technical journalism has led to writing and broadcasting on a range of subjects from the history of magic to the end of the Space Age. Prizes include an Emmy for scriptwriting, academic work a doctoral thesis on the role of history in fiction and teaching a role as lecturer in English Literature at Goldsmiths, University of London. In the mid-seventeenth century, England was visited by the four horsemen of the apocalypse: a civil war which saw levels of slaughter not matched until the Somme; famine in a succession of failed harvests that reduced peasants to ‘anatomies’; epidemics to rival the Black Death; and infant mortality rates that left the mothers of eight or nine children childless. 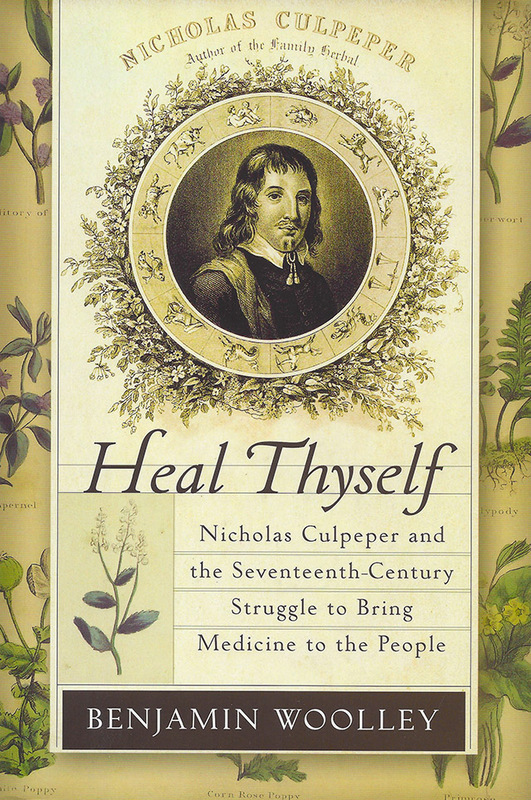 In the midst of these terrible times came Nicholas Culpeper’s Herbal - one of the most popular and enduring books ever published. Culpeper was a virtual outcast from birth. Rebelling against a tyrannical grandfather and the prospect of a life in the church, he abandoned his university education after a doomed attempt at elopement. Disinherited, he went to London, Milton’s ‘city of refuge, the mansion-house of liberty’. There he was to find his vocation as a herbalist - and a revolutionary. London’s medical regime was then in the grip of the College of Physicians, a powerful body personified in the ‘immortal’ William Harvey, anatomist, royal physician and discoverer of the circulation of the blood. 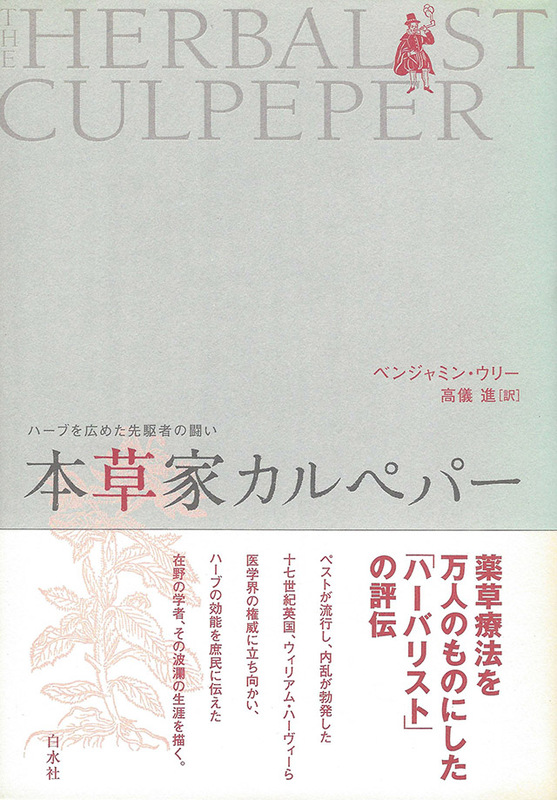 Working in the underground world of religious sects, secret printing presses and unlicensed apothecary shops, Culpeper challenged this stronghold at the time it was reaching the very pinnacle of its power — and in the process became part of the revolution that toppled a monarchy. In a spellbinding narrative of impulse, romance and heroism, Benjamin Woolley vividly recreates these momentous struggles and the roots of today’s hopes I and fears about the power of medical science, professional institutions and government. 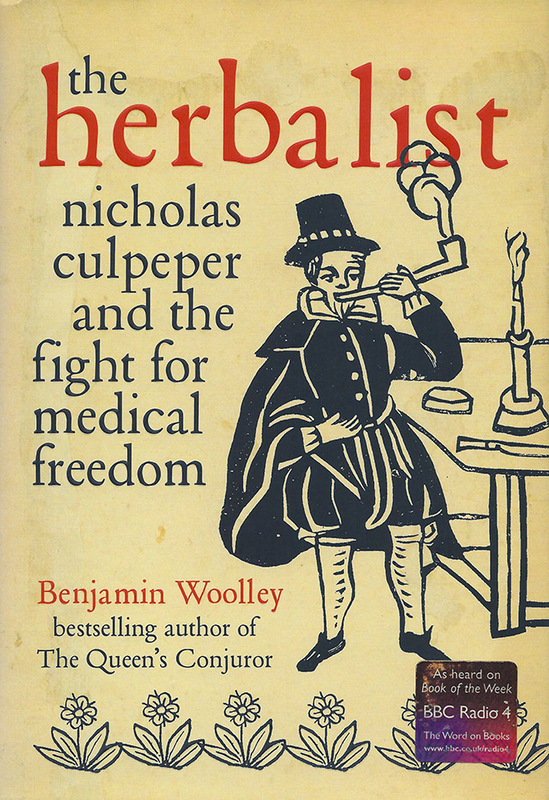 The Herbalist tells the story of a medical rebel who took on the authorities and paid the price. A dark, gnarled yew stood next to the lych-gate, poisoning with a drizzle of noxious needles anything that grew beneath it. Rose bushes still in flower were scattered across the graveyard, planted, according to local tradition, by the betrothed on the graves of lovers lost. A mound of fresh earth marked the spot where, a few days earlier, Maurice Sackville, the late rector of Ockley, had been interred. This was the scene beheld on 15 September 1615 by the Revd Nicholas Culpeper, Sackville’s hastily-appointed successor. He had arrived just four days after Sackville’s funeral from his old post as vicar of nearby Alciston. He was in his mid-thirties and, for a country parson, uncommonly well educated, boasting a degree from the University of Cambridge. Ockley was a modest but busy parish on the border of the counties of Surrey and Sussex, straddling Stane Street, the Roman road that still acted as the main thoroughfare from Chichester on the south coast to London. The church itself was a quarter of a mile from the village, perched on a hill, next to the remains of a castle and Ockley Manor, owned by Nicholas’s cousin and patron Sir Edward Culpeper. Nicholas and Sir Edward were from branches of the same family that had joined three generations back, part of a voracious dynasty that grew like white bryony through the counties of Sussex, Kent, and Surrey. The origin of the Culpeper name is obscure. Some have speculated that it derived from the place where the first family members settled, perhaps Gollesberghe in Sandwich, Kent or Culspore in Hastings, Sussex. To most, however, it was more suggestive of politics than geography. ‘Cole’ was a prefix meaning a fraud, as in cole-prophet, a false prophet, or ‘Colle tregetour’, a magician or trickster mentioned by Geoffrey Chaucer in his poem The House of Fame. Colepeper, one of innumerable spellings, would therefore mean a false pepperer, someone trading illicitly as a grocer outside the Fraternity of Pepperers, the guild incorporated in 1345 which later became the Grocers’ Company. Or the ‘pepper’ could simply refer to the herb’s association with offensiveness. Jack Straw, a supposed leader of the fourteenth-century Peasants’ Revolt, was described by a contemporary writer as a ‘culpeper’, meaning mischief maker. Elements of the family had certainly lived up to this interpretation of the name. Wakehurst, the family’s main seat in Sussex, had come to the Culpepers after the daughters of its original owners were abducted by brothers Richard (1435–1516) and Nicholas (1437–1510). 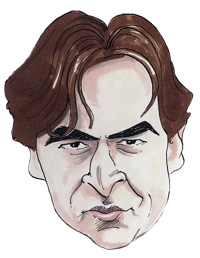 A grandchild of their elder brother John, Sir Thomas Culpeper, was beheaded in 1541 for treason, accused of being the lover of Catherine Howard, Henry VIII’s fifth wife, herself the daughter of Joyce Culpeper, Thomas’s sixth cousin, once removed. By the early seventeenth-century, the leading Culpepers were eager for respectability. Edward Culpeper, the current occupant of Wakehurst and the great-great-grandchild of Richard, had risen to become a Sergeant-at-Law (a high-ranking barrister). But in those days, lawyers, like physicians and merchants, were not considered gentlemen. Titles and land were the real currency of social rank, and Edward was ruthless in his pursuit of both. In 1603, he bought himself one of the new knighthoods that James I sold on his succession to the English throne in order to finance an opulent court. Through legal action as well as acquisition, Edward also enlarged his estate at Wakehurst into one of the most extensive in Sussex, and built an impressive mansion in the middle of it to show off his new-found status. Among the many lucrative plots for which he litigated was one of 120 acres at Balcombe, on the south-west border of his Wakehurst estate. This had been the principle possession of the Revd Nicholas Culpeper’s grandfather, leaving that branch of the family incurably reduced. Nicholas had inherited just £120 on his twenty-first birthday, enough to pay for his education at Cambridge University, where he received an MA in 1608. Thereafter he was dependent on the patronage of Sir Edward. Now, as rector of Ockley, entitled to the living or ‘benefice’ generated by local church taxes, Nicholas could look forward to a comfortable, if undemanding, living. He had also become engaged to Mary, the twenty-year-old daughter of another rector, William Attersoll of Isfield, a village near Nicholas’s old parish of Alciston and within the same deanery or church administrative district. A month after Nicholas took up his position at Ockley, they were married at Isfield. Nicholas’s first few weeks in the parish were busy with funerals. Coffin after coffin was carried past the old yew into the church yard, six before Christmas, a high number for a village with a population of a hundred or so. One of them contained Katherine Sackville, wife of the late rector, suggesting that both had succumbed to a disease passing through the village. Nicholas must have been concerned about the infection lingering in the rectory he and his new wife had so recently occupied. Within the year, Nicholas too was dead, around the time of the first anniversary of his marriage to Mary, who was about to give birth to their first child. Despite qualms about the searchers’ work, they were diligent in their efforts and came up with an elaborate catalogue of causes: apoplexy, bleach, cancer, execution, fainting in the bath, gout, grief, itch, lethargy, lunacy, murder, palsy (paralysis), poison, sciatica, and ‘suddenly’. But one class of cause prevailed over all these: infectious disease. There was no concept of germs in the seventeenth century. Infection was a corruption of the air, a humidity or ‘miasma’ that exuded from the earth, a theory that lingers today in our belief in the benefits of ‘fresh’ or ‘country’ air. Some places were more prone to infection than others because they were near sources of this miasma, such as sewers and swamps. London, with its cramped streets, fetid streams, and cesspits, was coagulated with contagion. But the countryside could be just as dangerous. Some settled rural populations – for example in remote parts of the West Country or on the chalk uplands of the Sussex Downs – had high levels of shared immunity to native bugs and lack of exposure to foreign ones. A village such as Hartland in Devon enjoyed infant mortality and life expectancy rates so low they would not be matched nationally until the 1920s. But other areas were as bad as any urban pesthole, notably large tracts of Sussex and Kent. ‘Marish’ and estuarine terrain, alluvial tracts, swampy low-lying basins, and sluggish rivers were suffused with ‘marsh fever’ or the ‘ague’ – malaria (from the Italian for ‘bad air’). The disease was familiar, and its diagnosis precise, categorized according to the frequency of the feverish attacks that announced its onset: daily (quotidian), every other day (tertian), and every third day (quartan). The convulsions produced by marsh fever, though distressing, were not usually fatal. However, they left sufferers more susceptible to enteric diseases – gut infections such as typhoid and dysentery. These were less clearly differentiated, but more deadly, frequently killing off one in ten of the population of a village in a single year. Just such a crisis seemed to overtake Ockley in 1615 and 1616. Autumn was the killing season for enteric infections, and nearly all of the twenty deaths in the parish during those years occurred between September and December. The summer of 1615 was particularly hot, and the stagnation of water supplies and sewers produced an epidemic of typhoid across the region. Perhaps it was this that carried away Nicholas Culpeper. If so, the sickness would have taken three weeks to pass through its elaborate pageant of pain: innocuous aches at first, possibly accompanied by nosebleeds and diarrhoea; a fortnight or more of high fever and skin rashes, interrupted by brief remissions. This was the first phase. The second was a week of tortuous stomach pains and delirium. If he was in this state, very little could be done for him. Mary would have been expected to mix up some palliative medicines, based on recipes she had learned from her mother, or from local women with more experience. Typical remedies known to soothe the symptoms of fever were flowers of camomile beaten into a pulp and mixed with cloves, and vervain, to be applied, as one herbal unhelpfully reported, according to ‘mother Bombies rule, to take just so many knots or sprigs, and no more, lest it fall out so that it do you no good’. A local ‘wizard’ or ‘cunning woman’ may have come to call. Bishop Latimer had noted fifty years earlier that ‘A great many of us when we be in trouble or sickness . . . run hither to witches, or sorcerers . . . seeking aid and comfort in their hands’. They were still a part of life of rural villages such as Ockham in the early 1600s, promising with remarkable assurance that they could heal a variety of ailments using a combination of magical rituals and semi-religious invocations or spells. Techniques included burning or burying animals alive, immersing sufferers in water flowing in a particular direction, dragging them through bushes, or touching them with a magical talisman or staff. Such methods were justified on the basis of no particular medical or magical theory, though many were inspired by the principle of sympathy – the idea that one thing (such as a disease) had an affinity with another that was similar or connected to it in some way. Thus, to cure a headache, a lock of hair might be taken from the victim’s hair and boiled in his or her urine. However, the Revd Nicholas Culpeper was very unlikely to have allowed such people near him. Their superstitious practices were closely associated with witchcraft, and a Christian minister would have considered them either fraudulent or diabolical. Mary’s attitude may have been different. She was still a comparative stranger in the village, having been in the parish for little more than a year, and was heavily pregnant, expecting to give birth any day. In such a state of isolation and vulnerability, as Nicholas lay unconscious on his sickbed, she may have yielded to the temptation of letting a charismatic healer through the rectory door. She may also have called for a doctor, though his chances of success were little better. The nearest large town, Horsham, was ten miles away, and the county town of Guildford a further five, so it would have taken some time and cost for him to come. Had one be summoned, his most likely treatment during the feverish stage of the illness would have been bleeding and purgation – in other words letting blood from the arm and prescribing toxic herbal emetics and laxatives to provoke violent vomiting and the evacuation of the bowels. Mary would have had to administer these medicines both orally and anally according to a strict timetable, and they would have intensified her weak husband’s sufferings, forcing him to spend hours spending blood into a basin, retching over a bucket, and squatting on a chamber pot, until he was finally overcome. The Revd Nicholas Culpeper was buried in his own graveyard on 5 October 1616. Less than a fortnight later, at 11p.m. on 18 October 1616, in the dark of that dismal rectory, the venue for three deaths in thirteen months, his widow gave birth to their son. The boy, baptized six days later at Ockley church, was named Nicholas in honour of the father he would never know. Sir Edward Culpeper’s patronage apparently expired along with his relation, and Mary was forced to leave the rectory almost immediately. Some time that winter, mother and infant set off along Stane Street, headed for the village of Isfield in Sussex, forty miles away.